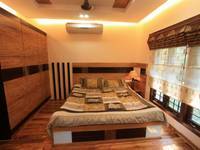 The house is located in the prime area of the city. 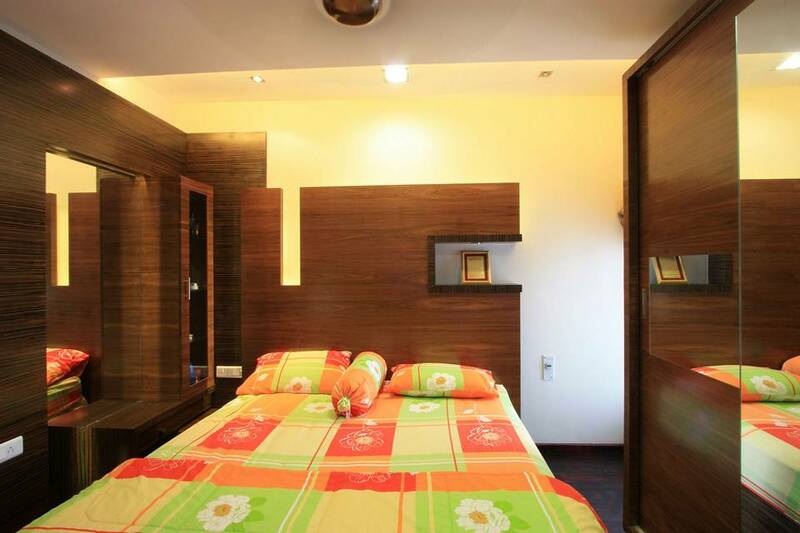 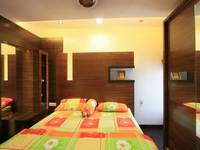 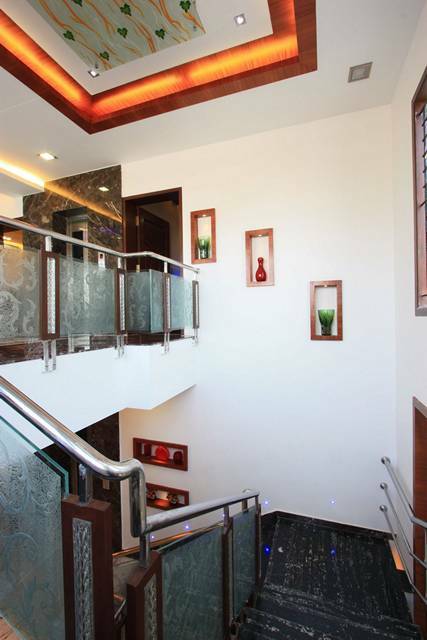 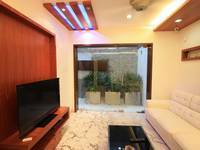 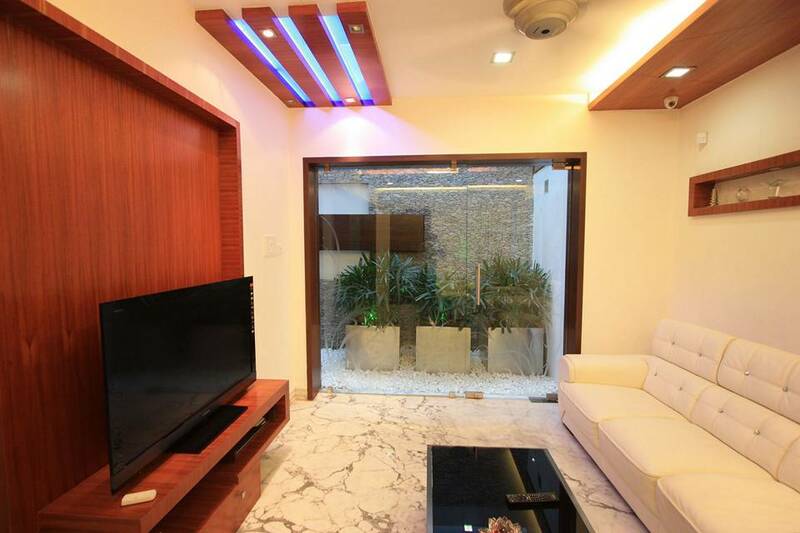 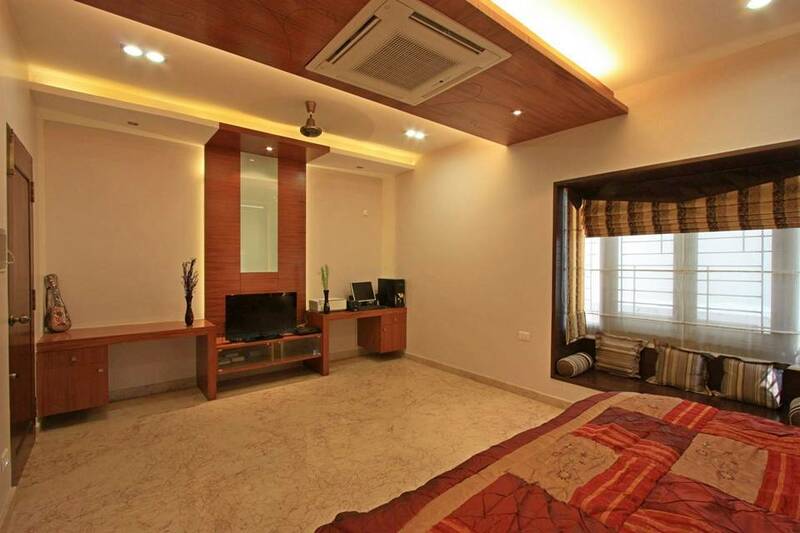 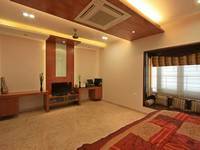 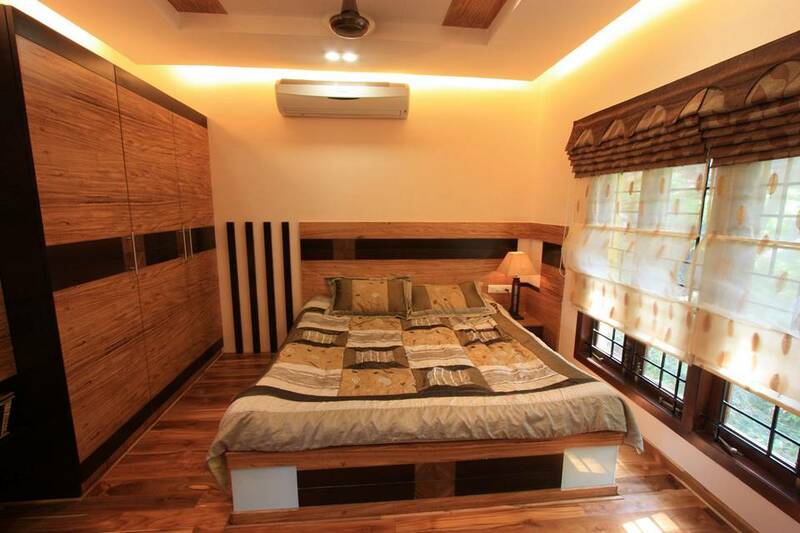 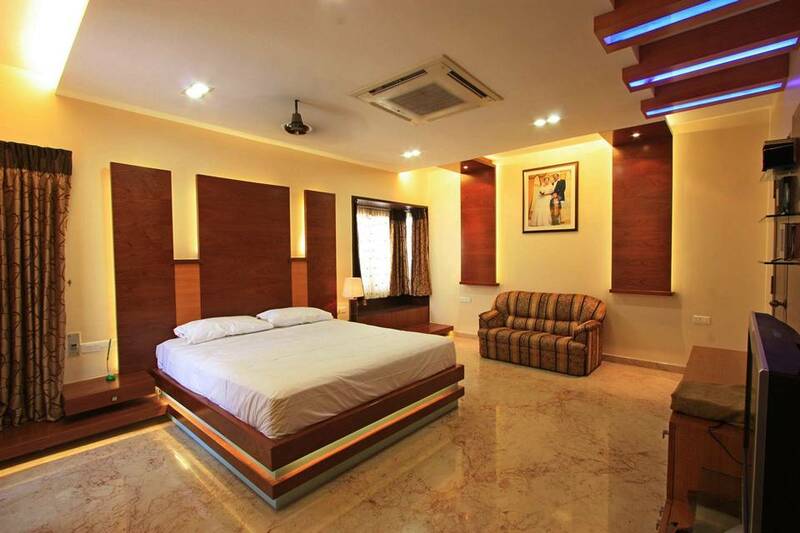 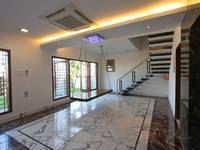 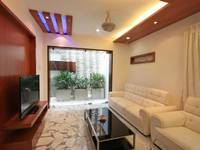 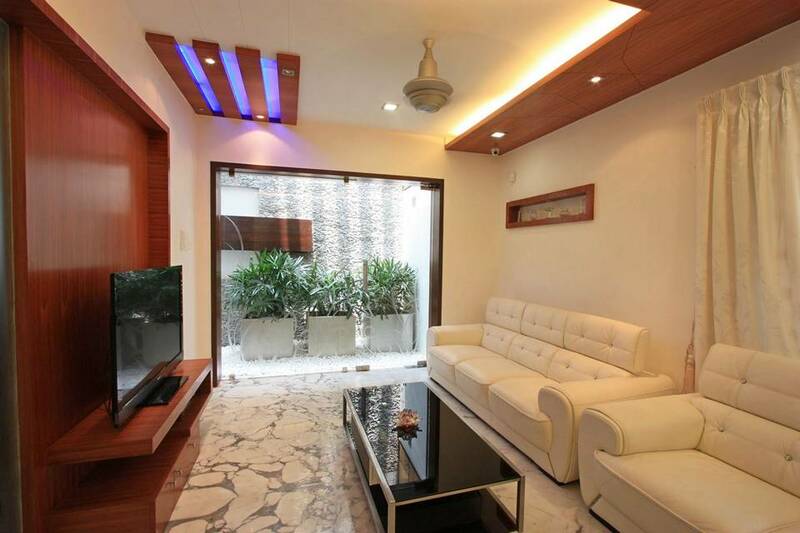 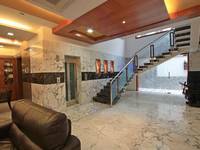 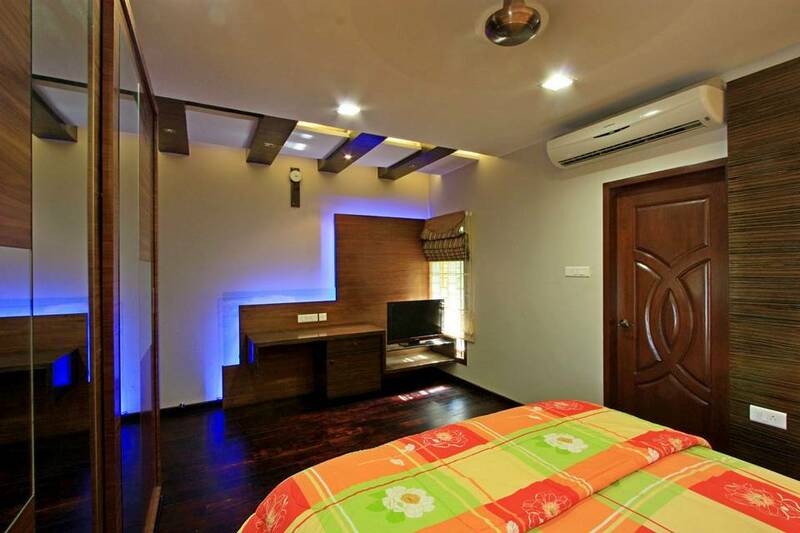 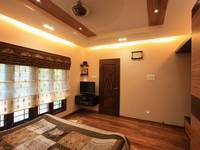 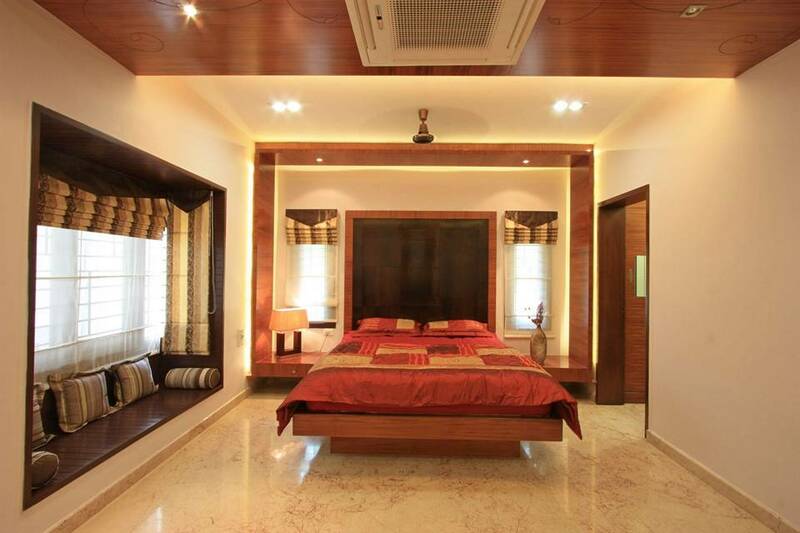 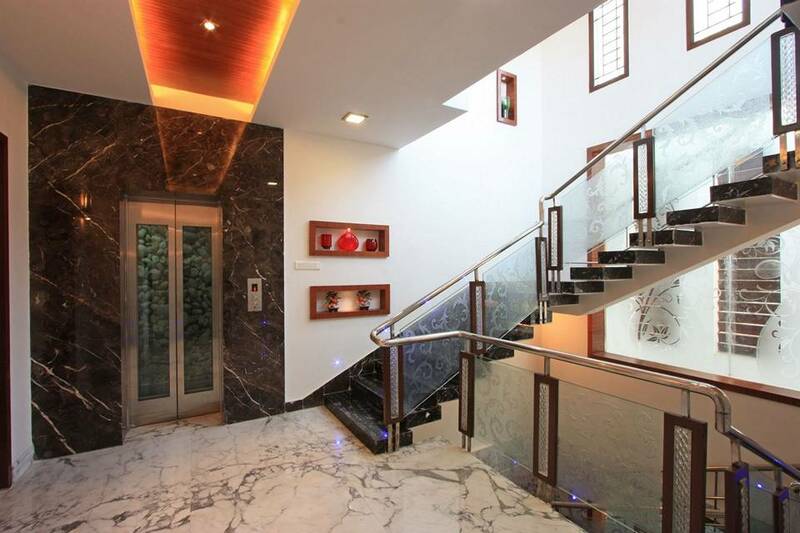 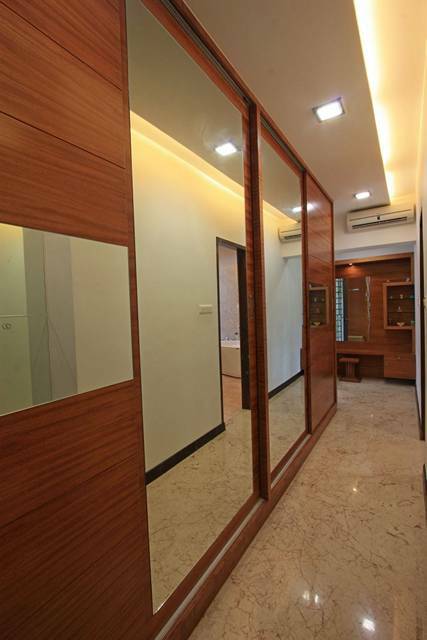 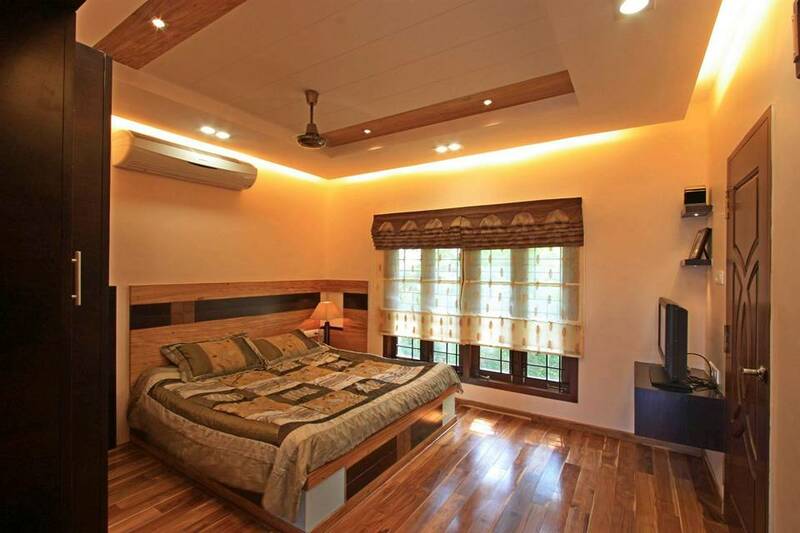 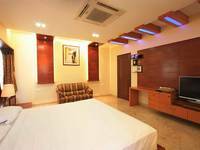 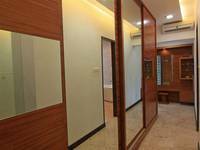 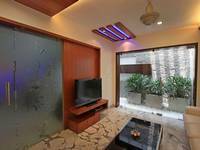 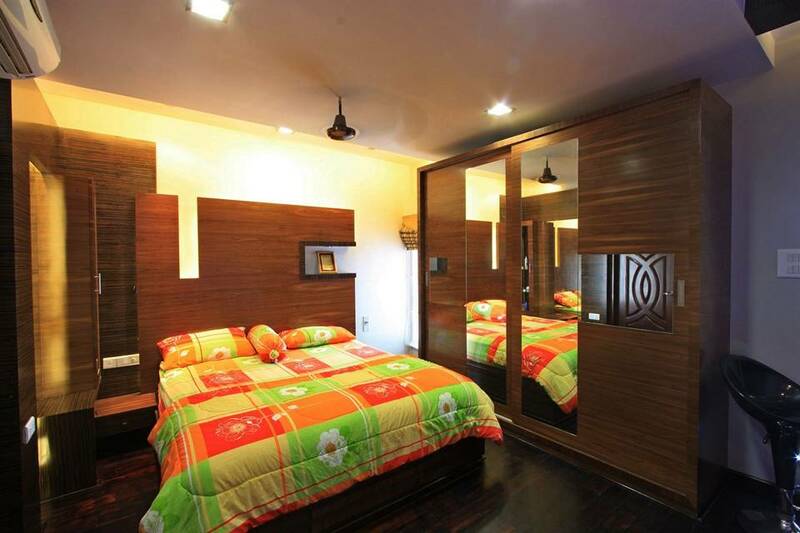 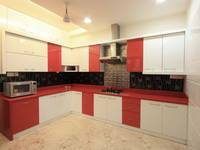 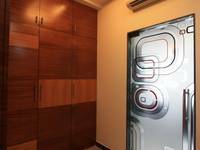 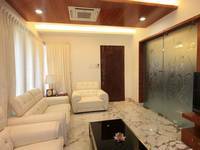 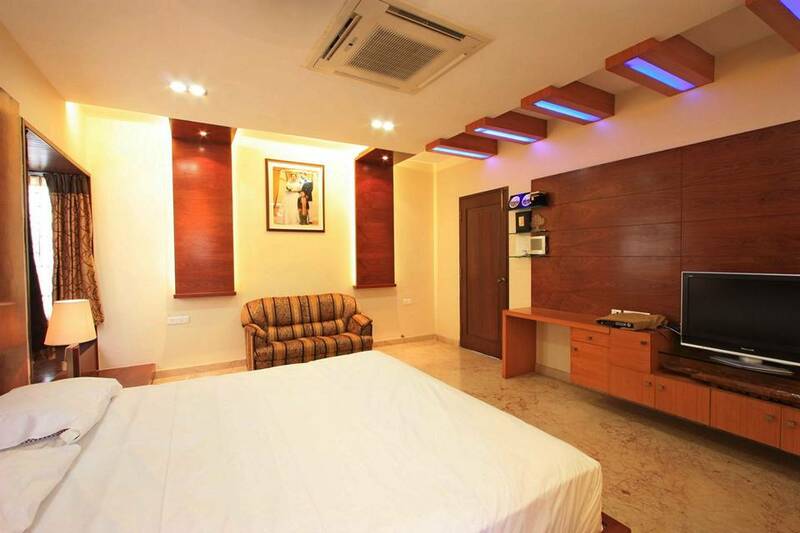 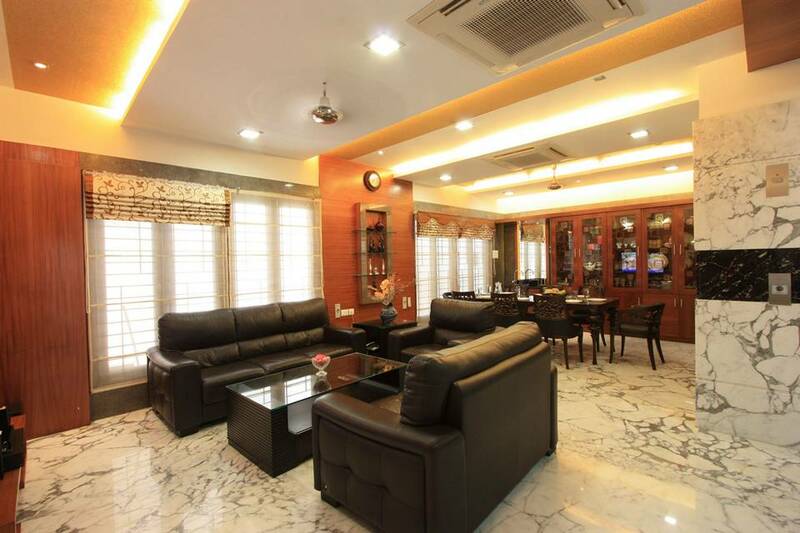 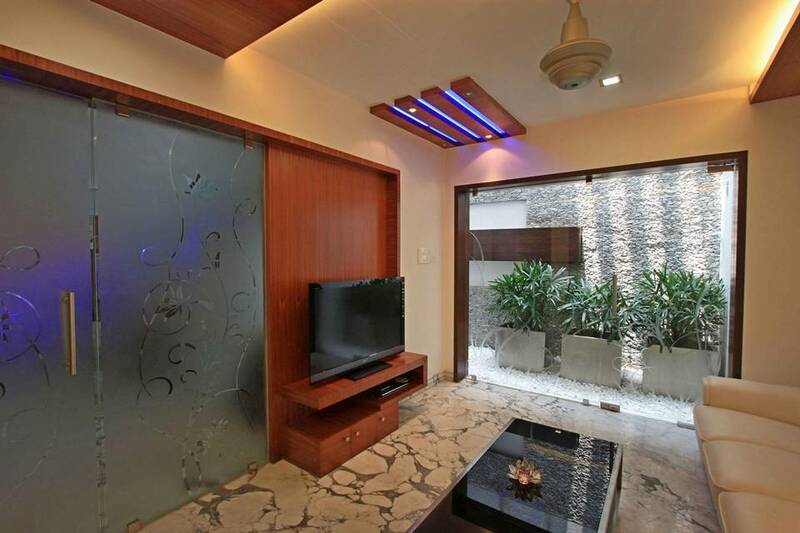 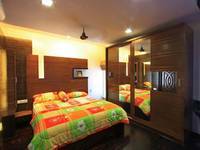 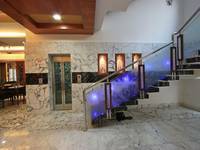 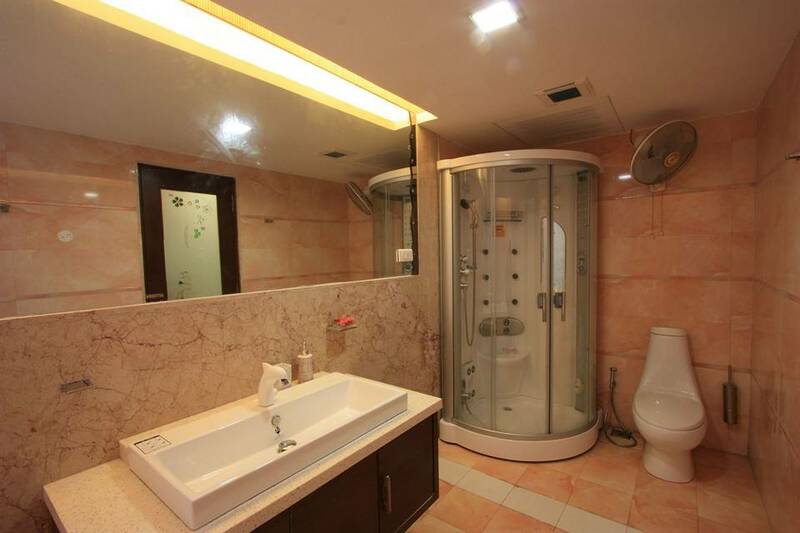 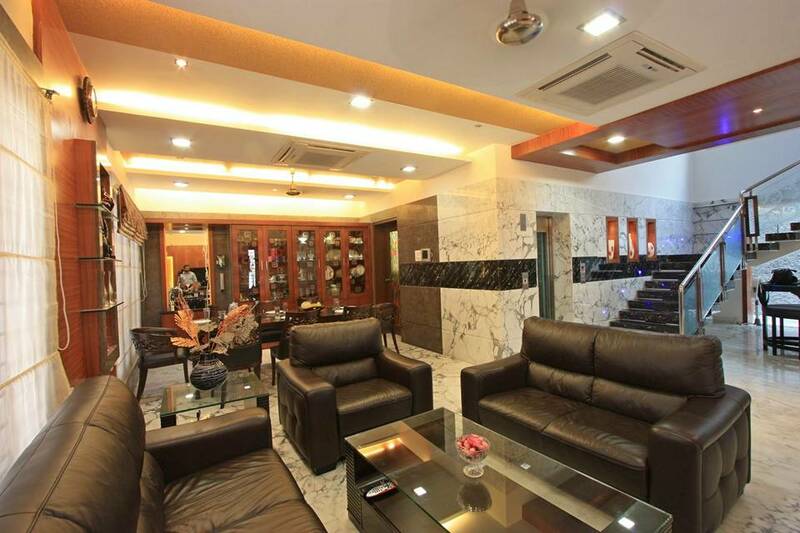 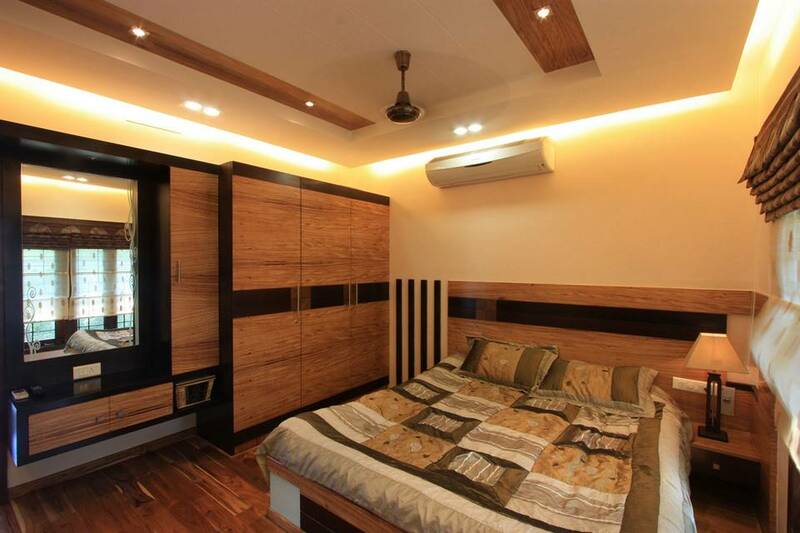 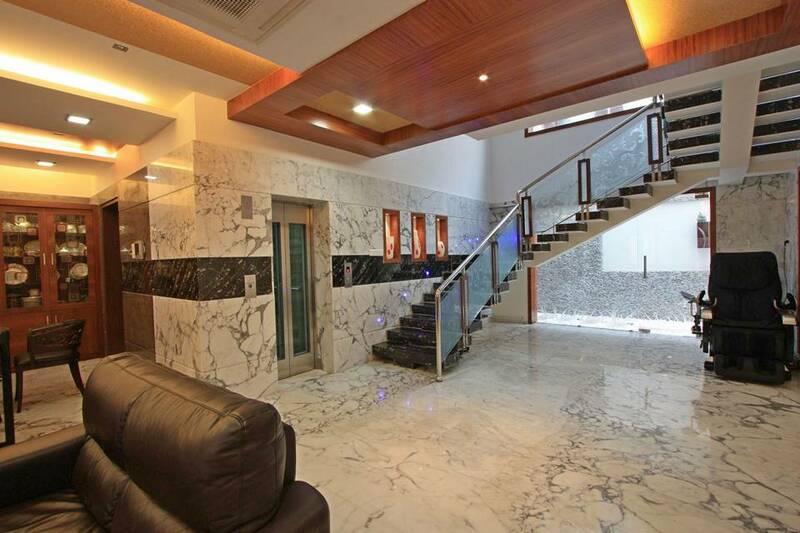 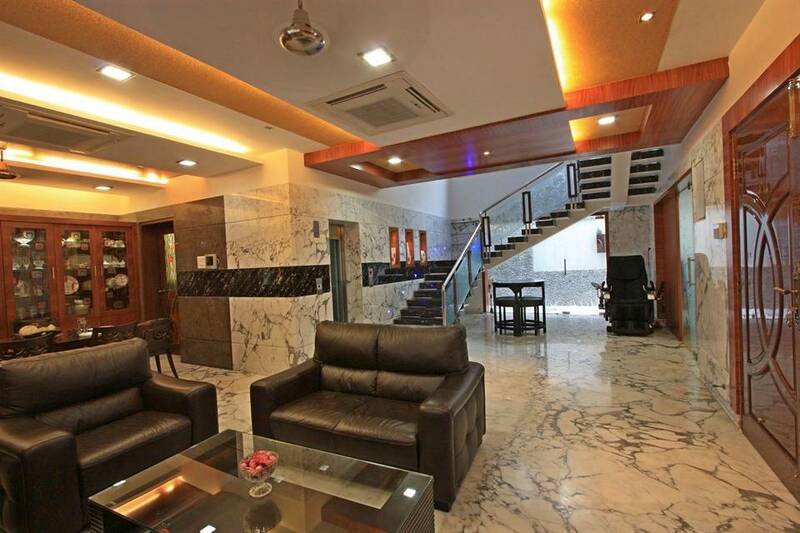 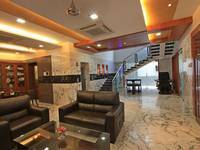 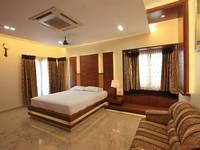 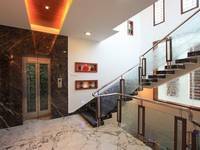 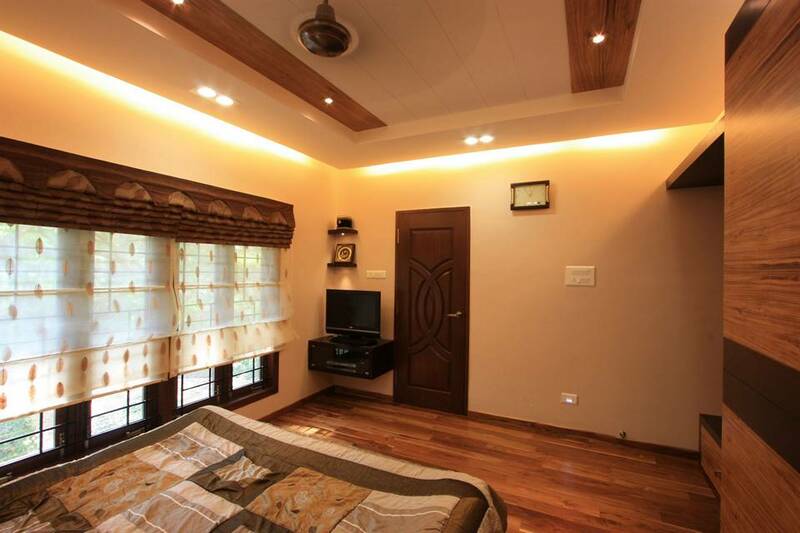 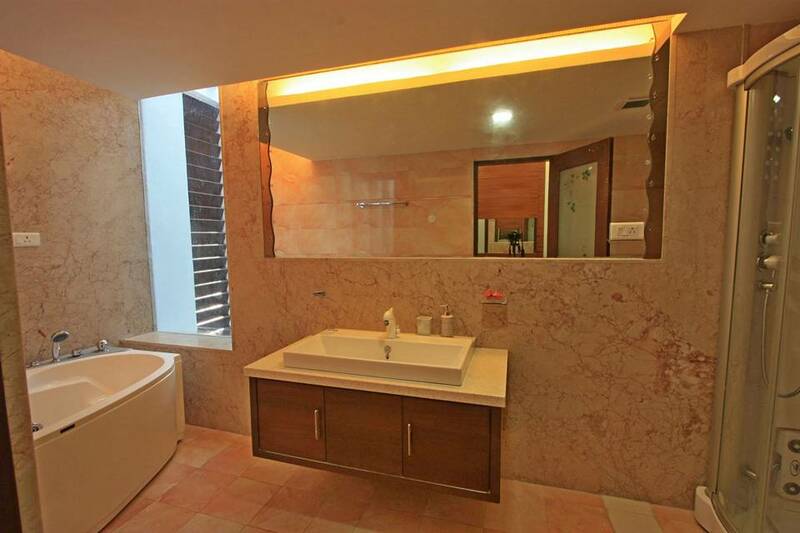 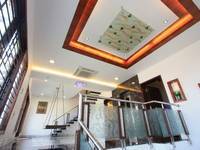 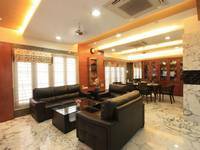 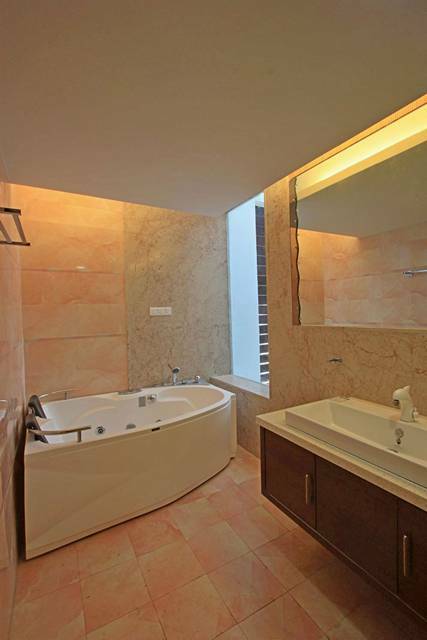 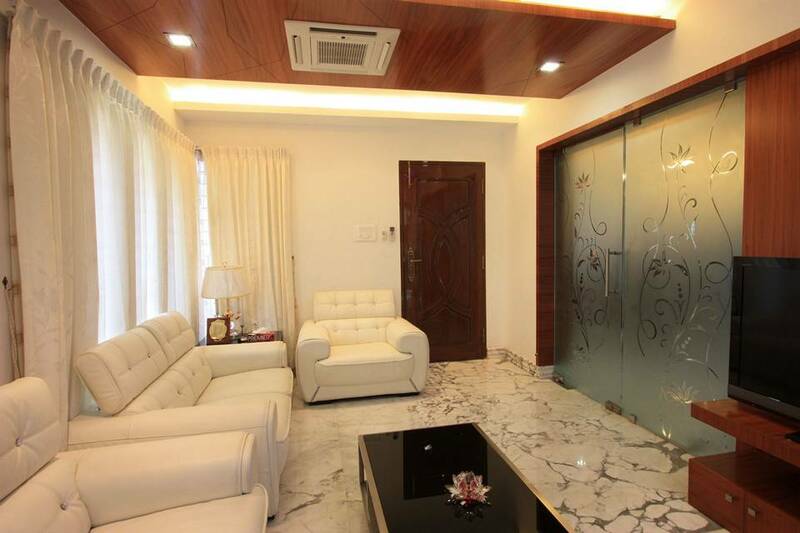 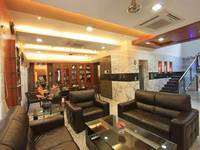 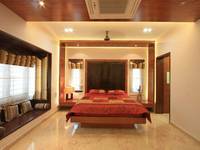 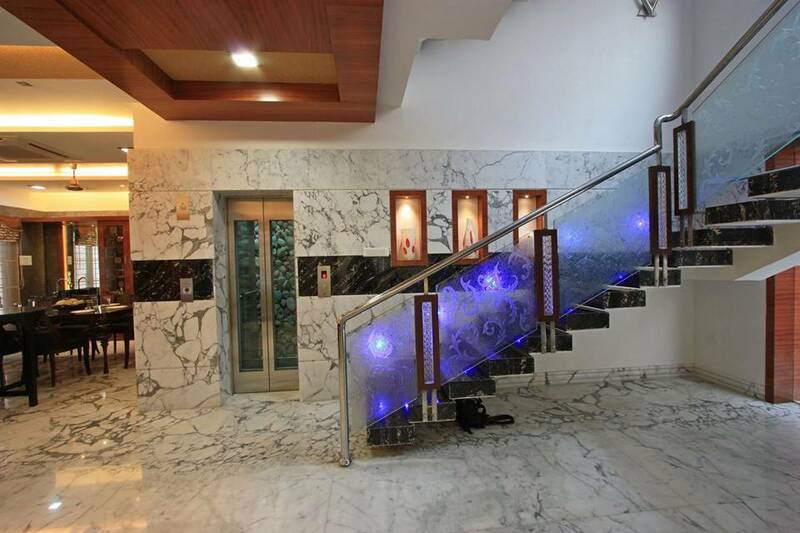 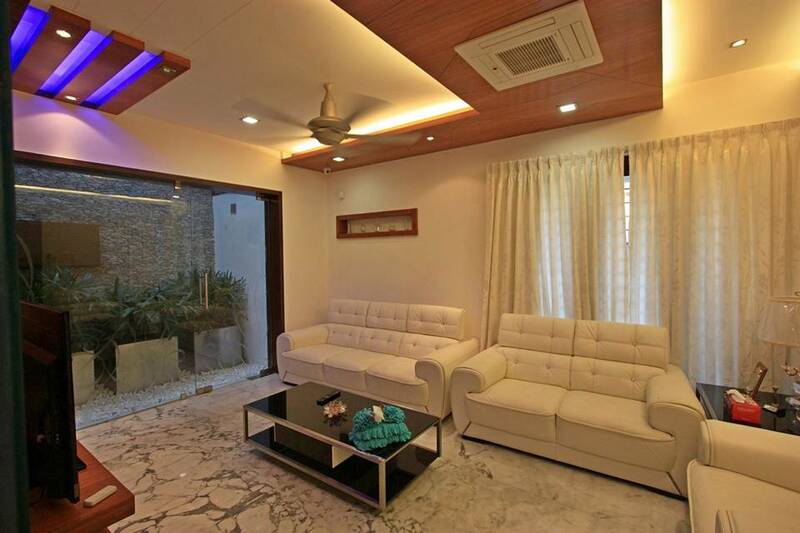 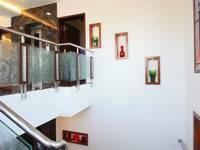 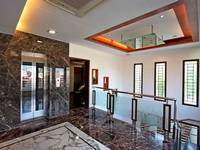 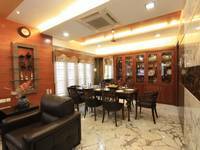 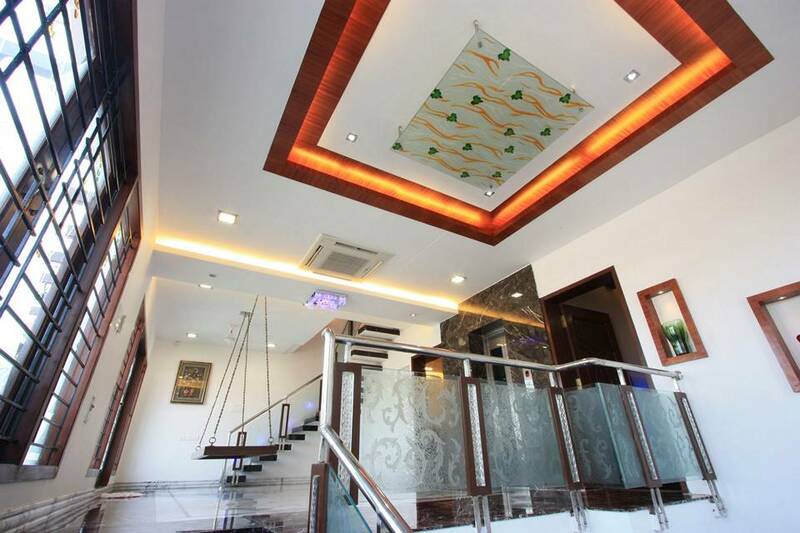 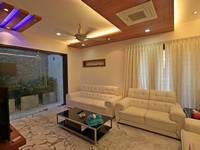 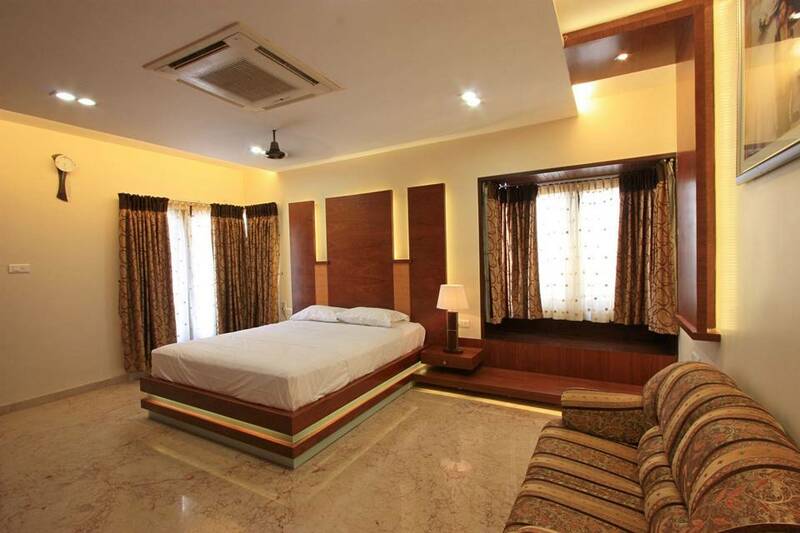 Due to the small and tight plot of size of around 2430 sqft, the challenge was to create a spacious looking design. 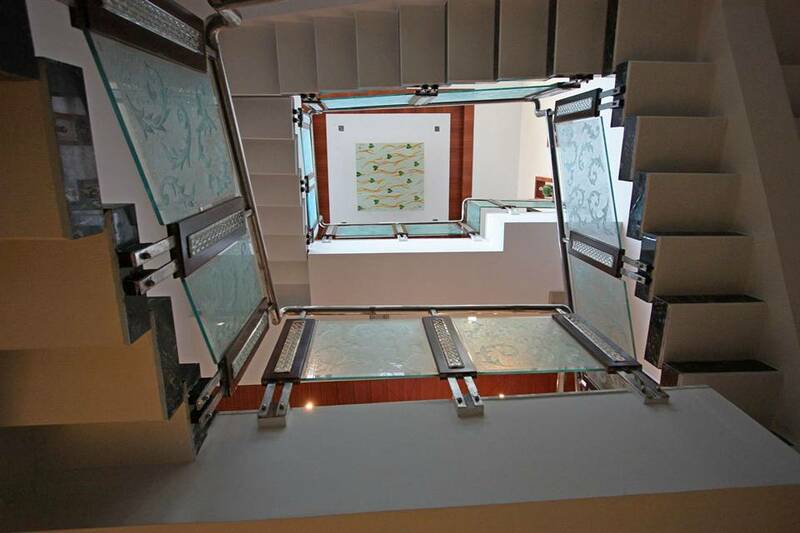 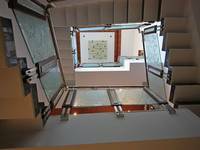 The spaces are stacked along four levels which are linked by a lift and a staircase. 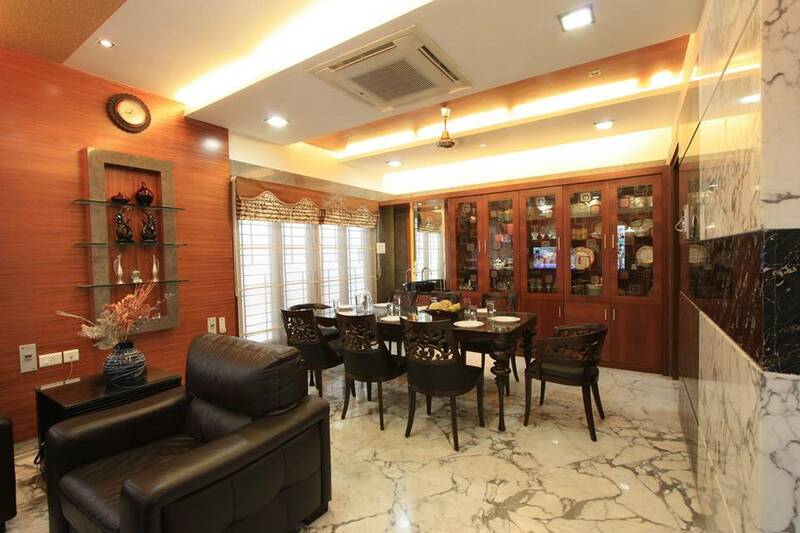 The house contains 5 bedrooms, a Gents room, a family room, a courtyard of two floor heights, a dining area with a large crockery display unit and a modern kitchen. 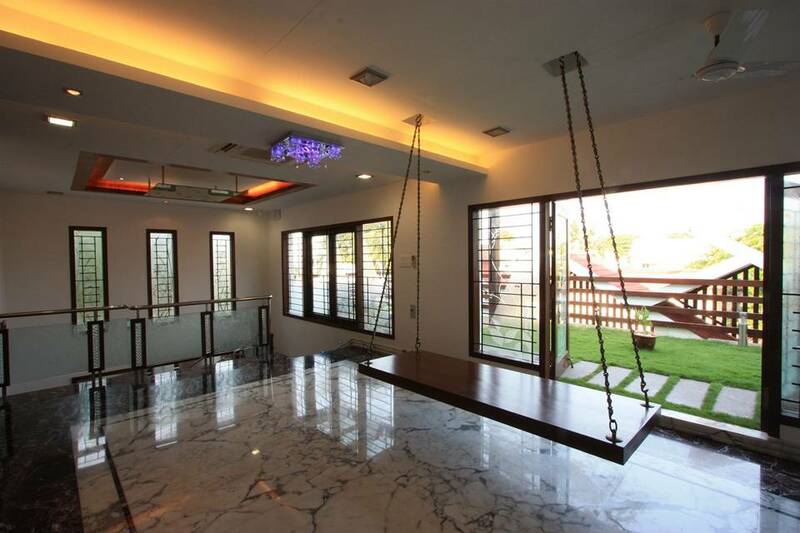 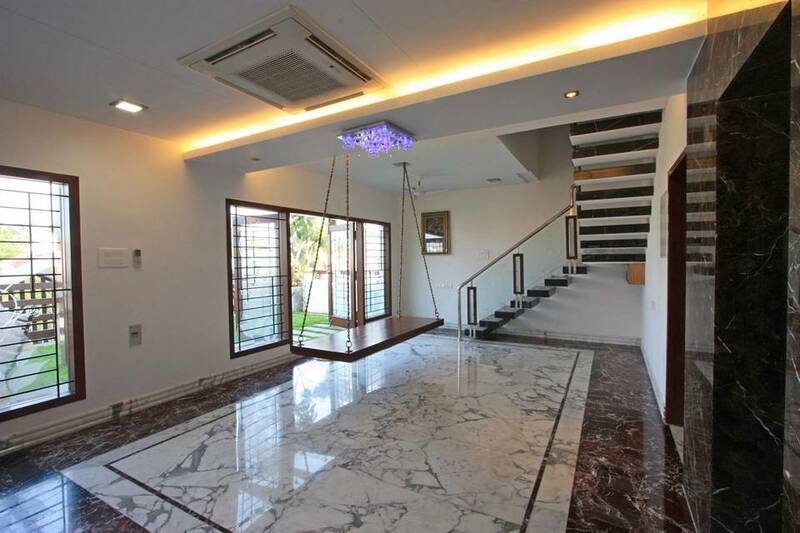 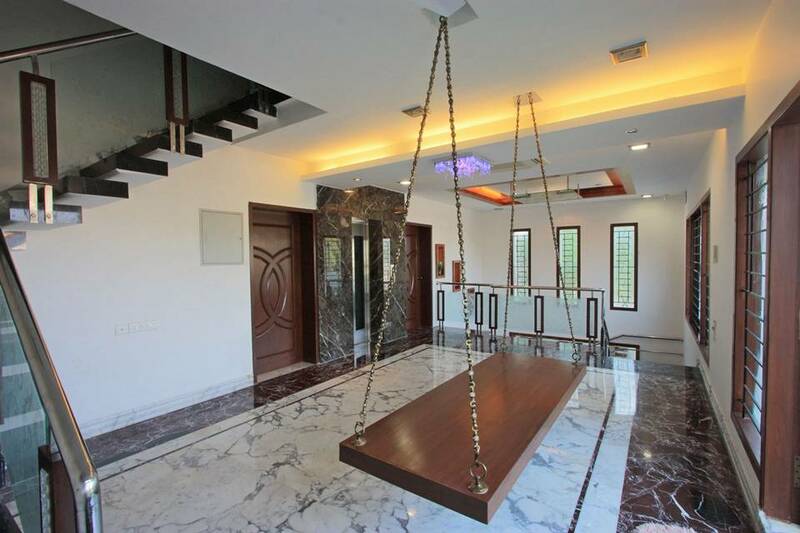 At the Second floor, the family room houses a large swing which overlooks the landscaped terrace. 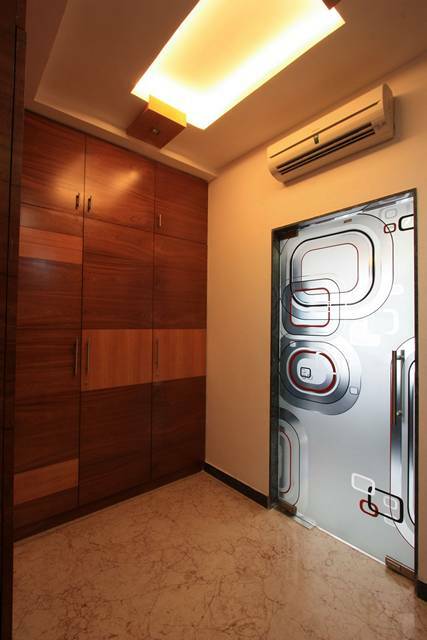 Extensive wall cladding has been done to avoid the walls from getting dirt. 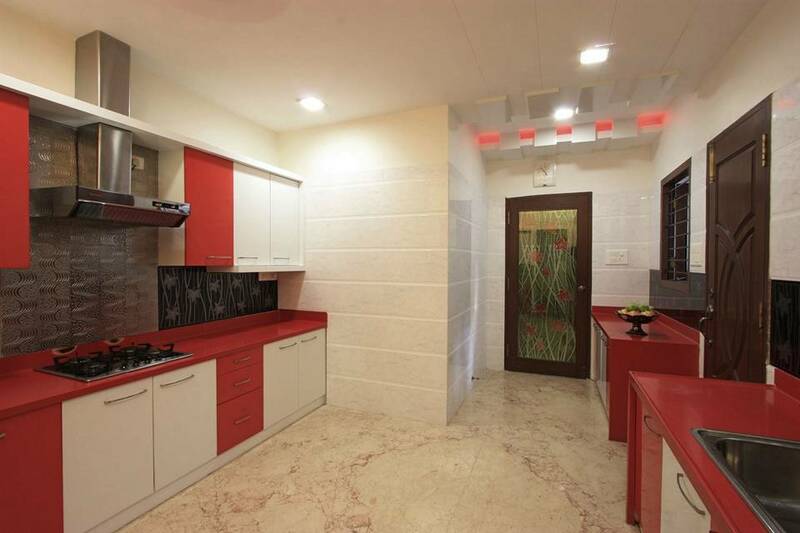 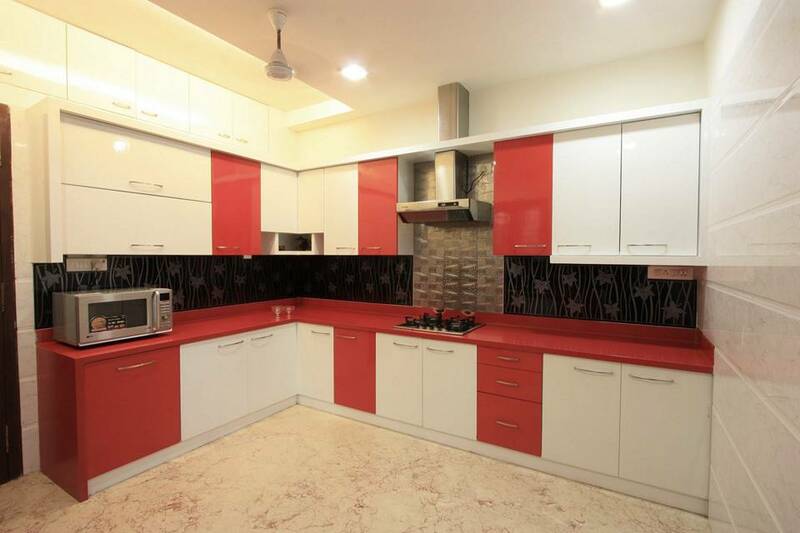 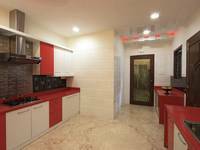 Two bedrooms were finished with wooden flooring.The Kitchen was designed in red colour along with white to evoke vibrancy. 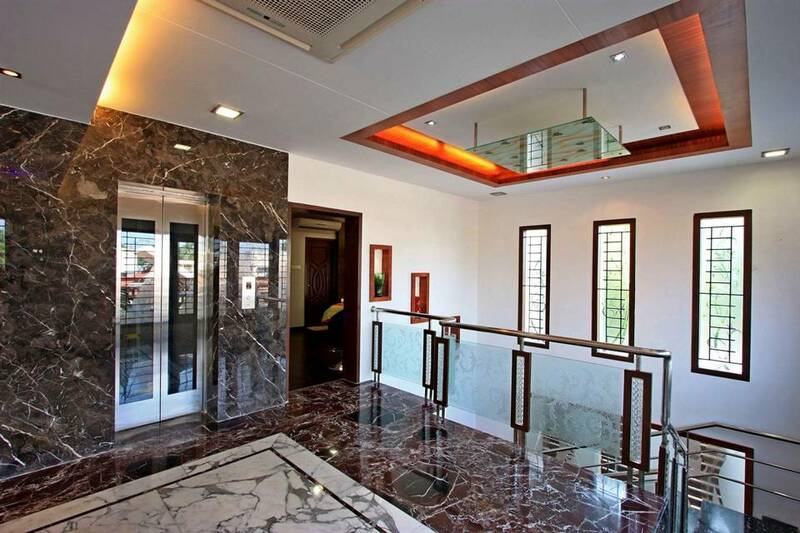 Courien top was provided for the counters.Landscape terrace garden was planned in the third floor of the house which is accessible from the family room.